Mount Fuji whizzes by as I drive the Tokaido N700 series shinkansen from Tokyo to Nagoya. “Don’t let the speed go above 270 kilometers per hour,” warns Kaori Takagi. I heed the warning, though Takagi is not a shinkansen driver instructor. We are, in fact, in the simulator at the SCMAGLEV and Railway Park in Nagoya, where she is museum curator. Next year sees the opening of Nagoya’s Legoland. Covering 9.3 hectares, it will be the second Legoland in Asia and is set to feature a replica of Nagoya Castle made from 225,000 Lego bricks. However, Nagoya is already home to some great museums, including the SCMAGLEV and Railway Park, many of which feature hands-on exhibits and interactive experiences. 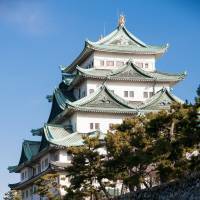 Nagoya Castle still acts as a focal point of the city. What is seen today is largely a postwar reconstruction after American bombs destroyed most of the original structure during World War II. 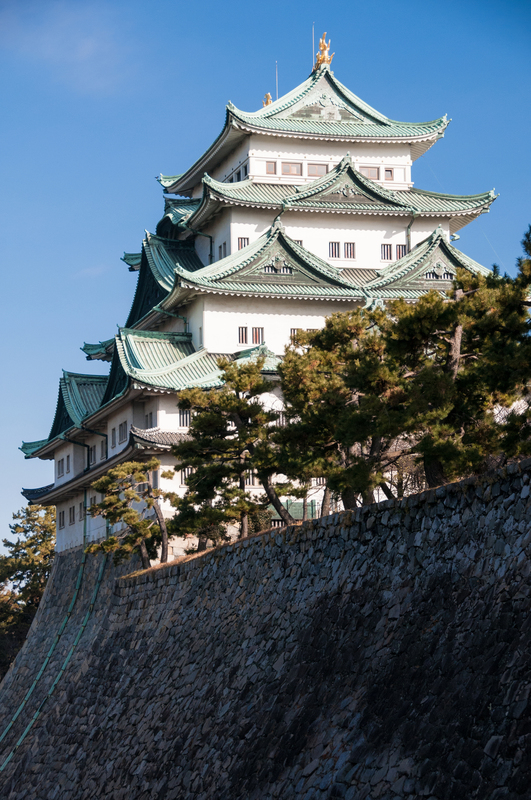 Construction of the original castle began in 1610 after Tokugawa Ieyasu emerged victorious from a period of war. Nagoya was the ancestral home of the Tokugawa clan and home to the most important Owari branch. In 1930, ownership passed from the Imperial Household Ministry to the City of Nagoya and it became a National Treasure. While educational, there is a definite emphasis on learning through fun at the castle. In a city that thanks to the World Cosplay Summit can lay claim to being the center of dressing up, it should come as no surprise that the castle has it own band of cosplayers. The Omotenashi Bushotai team consists of six bushō (army generals) and four ashigaru (foot soldiers). There are always two on duty and at the weekends they often put on performances of fighting and dancing. Chosen partly for looks, they speak ancient Japanese and some can also speak English. On the fifth floor of the castle are two of the most popular exhibits. First there is a full-scale replica of a kinshachi golden carp-like statue, which stands at just over 2½ meters tall. There are two of these imaginary creatures on the roof. Shachi are said to have the ability to summon water and so were used on the top of the castle to protect it from fire. Each includes around 44 kilograms of gold and during the Owari ownership this led to them being recast three times — each time with less gold as the family faced economic hardship. The replica is a good photo opportunity to commemorate a visit. Construction of the ramparts involved moving huge stones, and on the fifth floor you can test your strength at pulling one of the blocks, which were transported to the building site on small wooden trolleys. In an ambitious ¥15 billion project, the former Honmaru Palace is being reconstructed using traditional materials and techniques. This is the former living and administration quarters of the castle; the donjon part having purely been for defense. Already a third is open to the public and the second part is set to open in June with final completion during 2018. The aroma of freshly timbered hinoki cypress from the nearby Kiso Valley lines the air as you gaze at exquisite screen painting replicas. Monozukuri, the culture of making things, runs deep in the DNA of Nagoya. This is nowhere more apparent than at the Toyota Commemorative Museum of Industry and Technology in Nishi Ward. “Our museum has more than 4,000 machines and items. 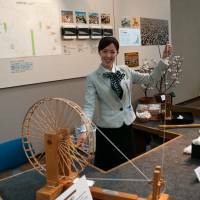 Almost all of them are still working,” proudly proclaims museum curator Toshihide Narita. “We are standing in the middle spinning area. 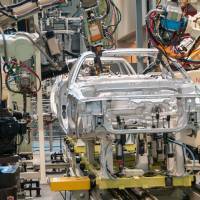 In 1914, Toyoda added the spinning-machine area. At first he bought the yarn from outside but he was having problems with the quality and so he started producing his own yarn to feed his spinning machines,” continues Narita. Toyota Group was founded by Sakichi Toyoda, who became very involved in the invention of machines for the textiles industry. Finding more demand for the materials his machines made than the machines themselves, he set up a textiles business. This site was first used for weaving in 1912. The subject may not sound particularly interesting but demonstrations, some of them interactive, bring alive the history amid the clanking of machinery. At the cotton-spinning demonstration, the basic process of producing yarn from cotton is demonstrated to me. “First we separate the seeds from the cotton. 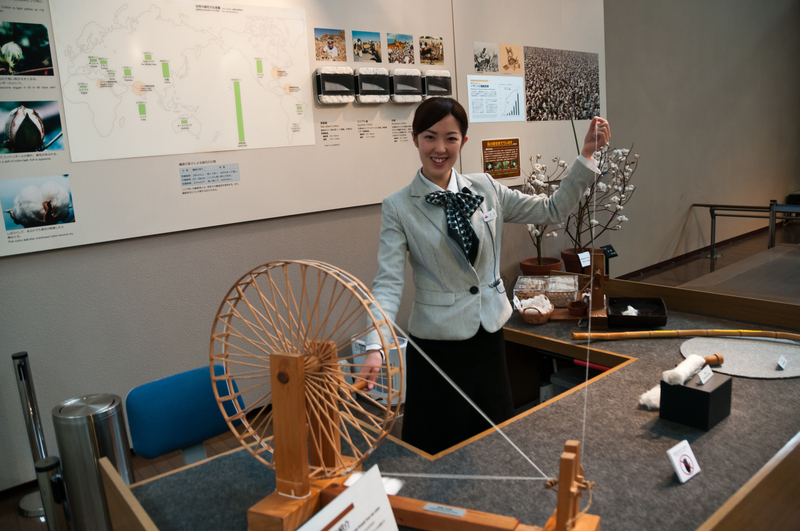 Now we make a cotton stick called yoriko” explains a guide in English — many of the people manning the displays can speak English. “We then take each cotton fiber and use the spinning wheel to draw them together,” she continues. In 1924, Toyoda invented the Type G automatic loom which could change the weft yarn when it finished without stopping the machine. This was far more advanced than anything else available at the time. In 1929, he sold the patent to Platt Brothers in the United Kingdom for £100,000 (at the time a considerable amount). Toyoda and his son Kiichiro made a number of trips to Europe and the U.S. to research textile machinery. On these visits, they became impressed with the rise of the automobile. Kiichiro used the money from the sale of the Type G patent as the seed fund to develop the first Toyota car, the Type AA. Narita takes up the story in the second hall with a blast of the air horn. “In 1936, there were many animals such as cows on the road and so Japanese regulations required the horn,” he explains. While there is a display of some old cars, the emphasis in the hall is on production technology along with a small upstairs display about how cars work. 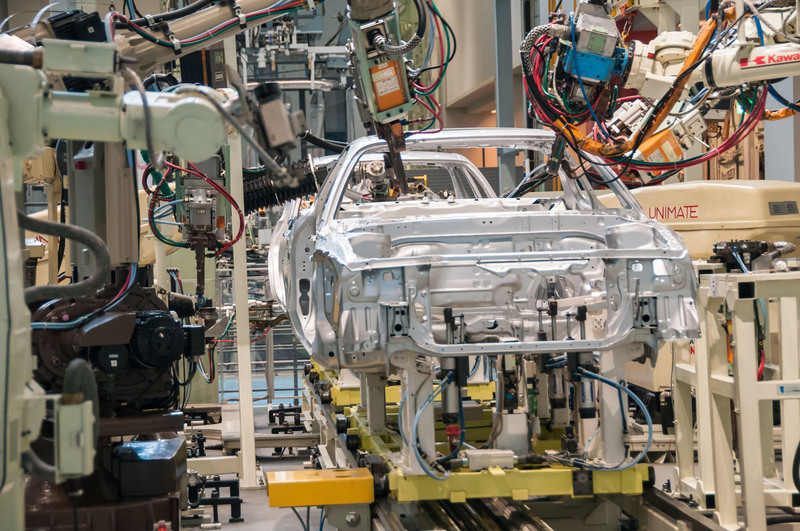 Parts of Toyota’s old production line have been transferred here and the robots still move as if welding the car bodies. There is also a 600-ton press machine exhibited that was first used at the Motomachi plant in 1960. Speed is the overriding theme at the SCMAGLEV and Railway Park in Nakamura Ward. 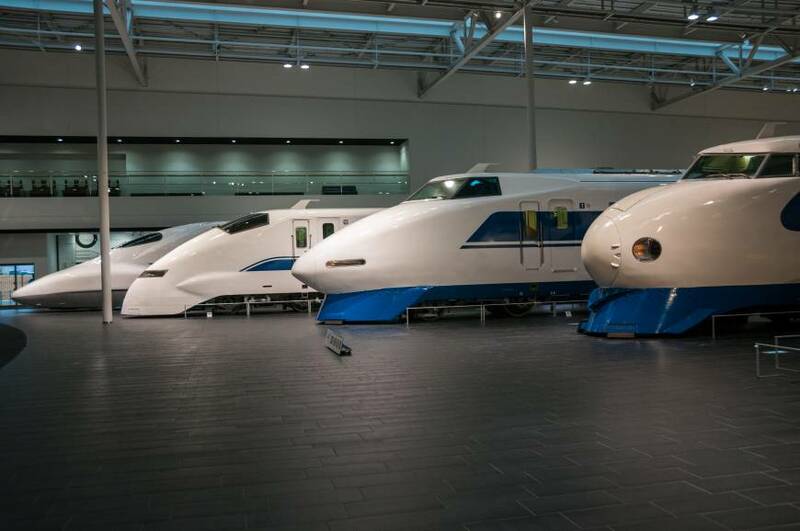 You are greeted by a trio of some of the world’s fastest trains. First there is the C62 steam locomotive, which has the world speed record for a steam hauled narrow gauge train — 129 kph set in 1954. Next is the 300X Shinkansen, which is an experimental version of the Class 955 that held the speed record for an electric train of 443 kph set in 1996. Finally, there is the futuristic MLX01-1 Maglev, which until last year held the world record speed of 581 kph. In the main hall is rolling stock previously used in the region. There is a particularly comprehensive display of former Tokaido Line shinkansen models. “Each 20 minutes here represents 24 hours of the (real) railway,” says Takagi introducing what is claimed to be the most expansive HO gauge model railway diorama in Japan. Nagoya is set in the middle of the scene with tracks featuring the Tokaido Line from Tokyo to Osaka. The attention to detail is impressive with famous landmarks such as Yokohama’s Chinatown and the Nagoya Station building. The real fun though lies with the simulators. Many of them are allocated on a lottery basis (winners then need to pay extra), however, the Maglev passenger experience is free and gives a taste of what to expect when the Chuo Shinkansen Line, currently under construction between Tokyo and Nagoya, commences service in 2027. At first the ride seems quite rough until the wheels rise and it starts levitating. 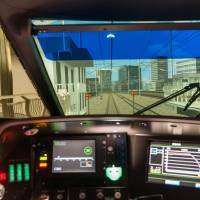 You can also try driving a commuter train or making the announcements before opening and closing the doors. 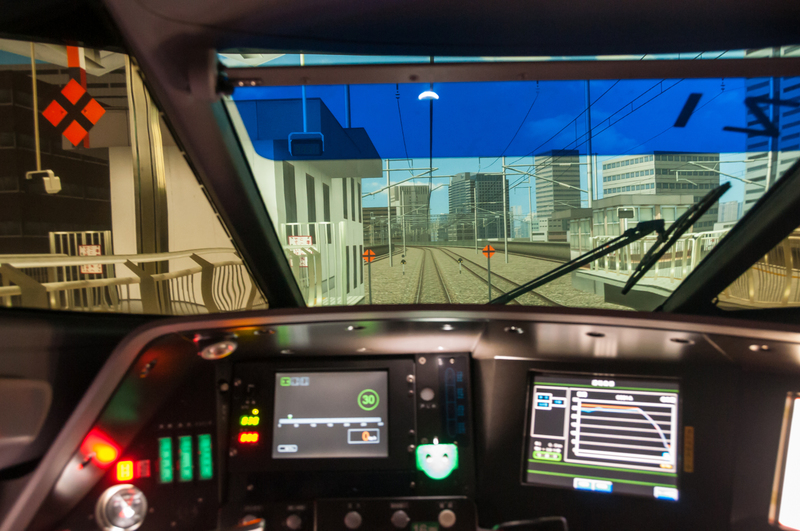 Timing, whether it is driving the train or being a conductor, is crucial. Japan’s punctual trains don’t leave room for error and judging by my inability to stop at the correct point on Nagoya Station’s platform I won’t be changing career anytime soon.